Have your child read the tale ' Charlotte's Web'? The tale written by E.B. White in 1952 is considered one of the essential readings for kids throughout the world. Spinning a web of friendship and hope, this magical story endures through the passage of time and is still one of the more popular book a parent would reach for their school going kids. With over 45million copies sold, it is considered a must read book. Today it is even incorporated to local primary school reading programs. To see the story coming alive on stage would be a great way to tell the tale to the younger ones. When the opportunity came to watch an adaption of this famous tale by SRT's The Little Company (TLC), it was hard to resist since I have 2 boys in primary school. 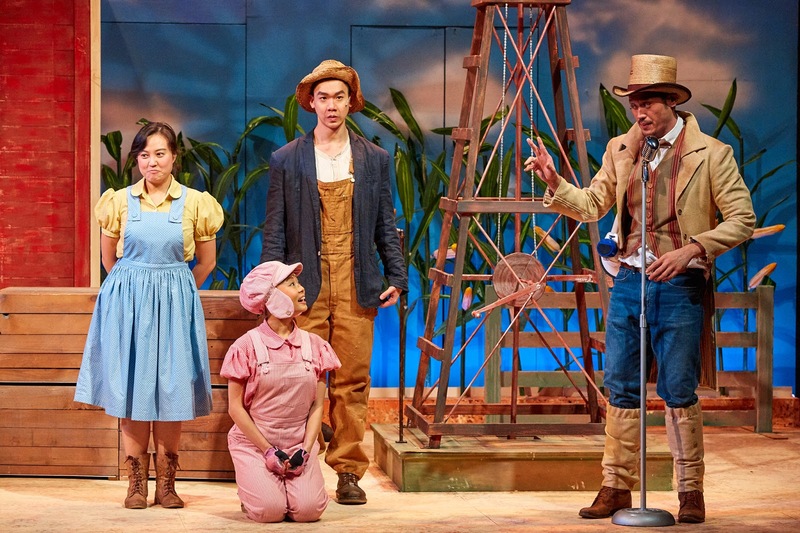 Not only would the boys get an introduction to Charlotte's web, they get to indulge in another TLC production. Being avid fans of the company since our first show 'The Cat in the Hat' in 2012, we always look forward to TLC interpretation of well known tales. We had never been disappointed and this time round was no exception. 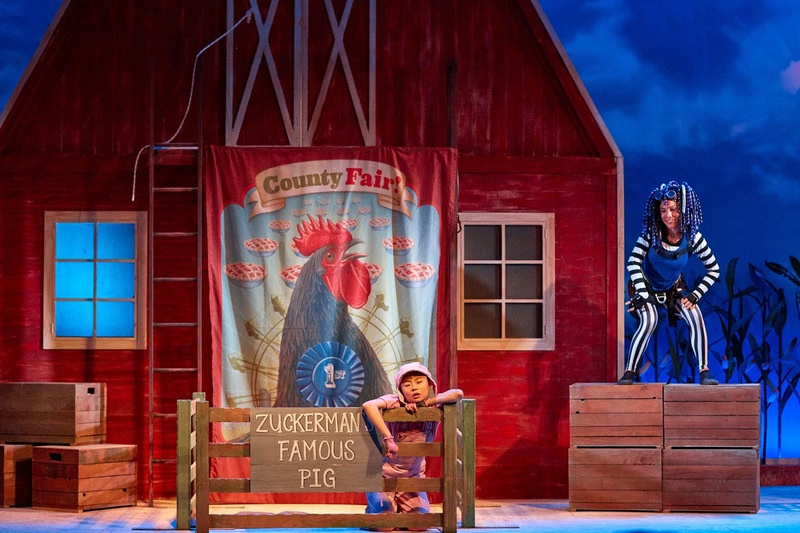 Get entangled in the enchanting story of a pig named Wilbur and his friendship with a barn spider named Charlotte. 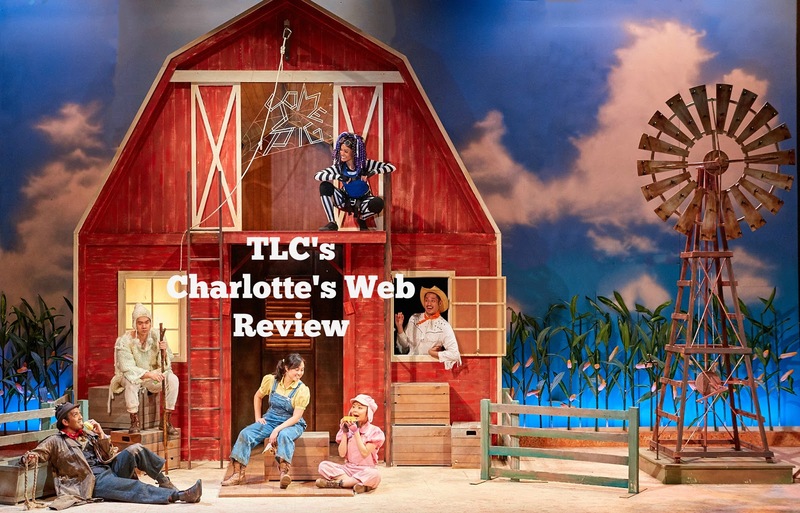 Compared to previous recent TLC production, Charlotte's Web is more like a play rather than a play/musical. In fact, there was no catchy song during the show. Instead the storyline took centerstage in this one hour and fifteen minutes show. Story telling had always been the forte of TLC and the cast of 6 experienced actors and actress made it an engaging show from the first scene. The cast took on multiple roles in the show. A feat considering that there are a total of 20 characters appearing in the show to be played by a crew of 6. The standout performance of Sharda Harrison as Charlotte and Ann Lek (our favourite actress from TLC with performances such as The Three Little Pigs, The Nightingale, Treasure Island and more) as Wilbur combine to bring out the magic of Charlotte Web on stage. Ann was SOME PIG in the show and Charlotte was TERRIFIC! The tale of friendship accumulated to a heart melting scene at the end when Charlotte spun her last web. In fact, some younger audience were visibly upset when this happened. The tale had captured the heart of the audience to the point that The Wackies declared this as one of the best ever. I have to agreed with them. 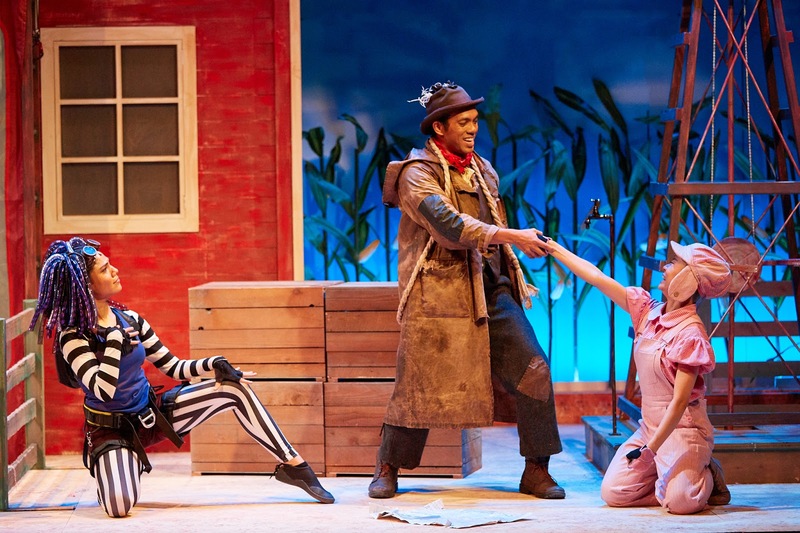 Having seen children's productions from overseas as well as other local productions, we always feel that SRT shows is easily understood and relevant to young children. The colourful stage set ups are also delightful and impressive . 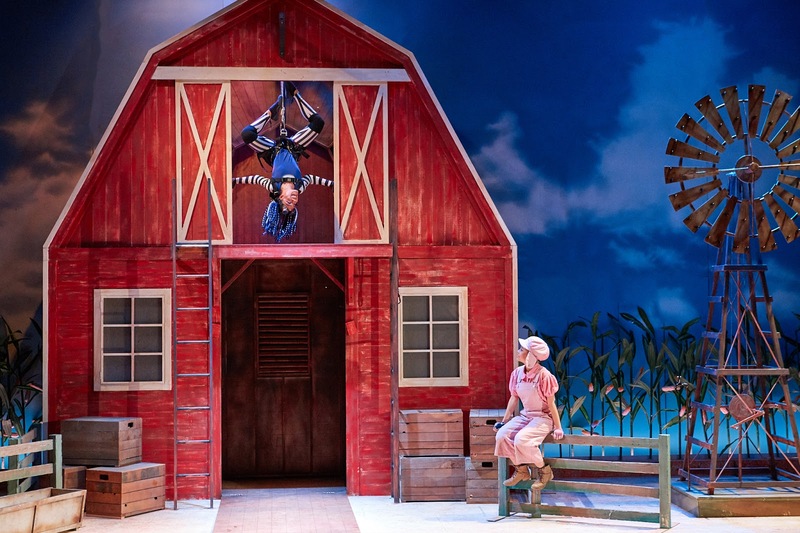 If you have not been to one, we can almost guarantee that you will look forward to more productions after seeing Charlotte's Web. If you are catching the show, do remember to pick up a complimentary programme booklet that featured interesting Spider activities for kids. The boys were invited to watch the show for a review. All opinions are of our own.